WAR CHANT (USA) (Bay or Brown 1997-Stud 2001). 5 wins-1 at 2, Breeders' Cup Mile, Gr.1. Sire of 704 rnrs, 487 wnrs, 39 SW, inc. Silent Sedition (MVRC William Reid S., Gr.1), Kingsfort, Midnight Interlude, Chamberlain Bridge, Variation, Brilliant, Carlos Gardel, War Kill, Time Chant, Karen's Caper, Dainty Tess, Sea Chanter, Chattahoochee War, El Roblar, Chantski, Norman Invader, Asperity, Ballymore Lady, Doncaster Rover, War Room, War God, etc. PAGO ROCK (g. by Rock of Gibraltar). 11 wins-1 at 2-from 1100m to 1600m, A$623,723, MRC Sir John Monash S., L, Elizabeth S Marshall H., Noel Rundle H., Sky High Mt Dandenong H., WATC Westspeed 3YO H., VRC All Victorian Sprint Series Heat H., MRC Sportingbet H., Le Pine Funerals H., 2d MRC Schillaci S., Gr.2, VRC Bob Hoysted H., L, March S., L, Bruce Gadsden H., TAB Sportsbet H., WATC D'Orsogna Classic Meats 2YO H., VRC All Victorian Sprint Series Heat H., 3d VRC MSS Security Sprint H., L, 4th VRC Lightning S., Gr.1, MRC Caulfield Sprint H., Gr.2, PB Lawrence S., Gr.2, VRC Aurie's Star H., Gr.3, MRC Kevin Heffernan S., Gr.3. Trade My Pago. Winner at 1600m in Aust. Bright Eyes. Winner at 2 in 2017-18, MVRC Big Swing Golf 2YO Fillies H.
D'Great Era. 4 wins at 1000m, 1200m to 2017 in Malaysia, 2d Perak TC Mauritius Friendship Trophy. Puccini (g. by Galileo). 3 wins to 1550m, BRC Mitty's H., STC Canterbury Park Event Centre H., 2d AJC Take a Chance On Me H., Campbelltown P., BRC Ormiston Board of Directors H., Brisbane Horse Transport P.
Money Trainer (g. by Rock of Gibraltar). 2 wins at 1100m, 1200m to 2017-18 in Aust. Island Pago (f. by Choisir). Winner at 1200m in Aust. Boom Box (Domesday). 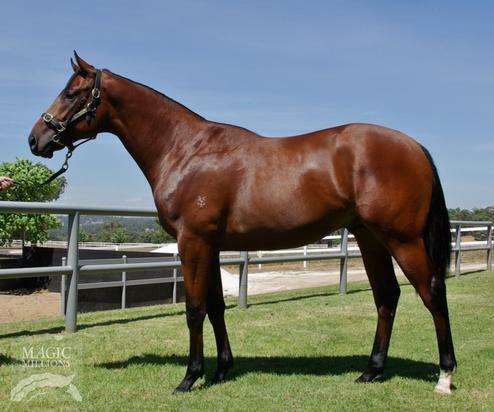 Winner at 1050m, 3d BRC Phelan Ready S., L, Novotel Brisbane Airport 2YO P.
Three Rar. 4 wins to 1000m to 2017-18 in Aust. DANCING PAGO (Thunder Gulch). 2 wins. See above. Stronger. 6 wins from 1600m to 1800m, 259,393Rgt. in Malaysia, Selangor TC Dato Lee Kok Chee Memorial Trophy, 3d Selangor TC Class 1&2 H.
Suave Matrice. 2 wins at 1400m, 1650m in Aust. and Malaysia, WATC AH Jordan H., 2d WATC England's Glory H., Suzie O'Neill H.
My Pago (Pago Mystery). Winner. See above. SHOWY CHLOE (Alfred Nobel). 3 wins-1 at 2-at 1000m, 1400m, A$468,450, WATC Sires' Produce S., Gr.3, Bunbury TC Western Australian Breeders' Classic, L, 2d WATC Burgess Queen S., L, Raconteur S., L, 3d WATC Karrakatta P., Gr.2, Gimcrack S., Gr.3. EL RIJES (Eternity Range). 4 wins-2 at 2-from 1000m to 1600m, A$157,916, WATC Perth S., L, Nexus Risk Services 2YO P.